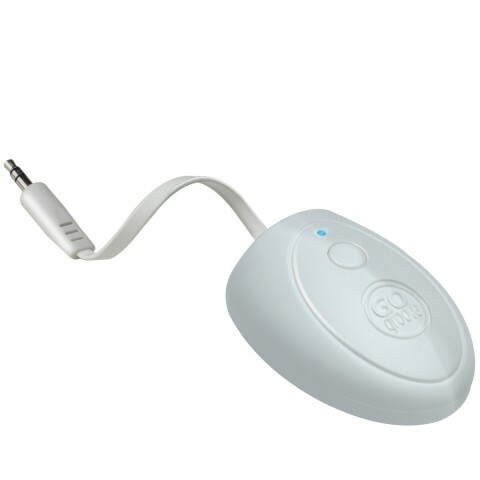 The GOgroove BlueGate TRM is a portable Bluetooth TRANSMITTER allowing wireless streaming from virtually any audio source like your TV, Blu-Ray Player, Computer and more! 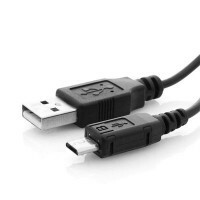 Charge via standard USB port for 3 hours & pair with your favorite Bluetooth-enabled speaker system or headset! 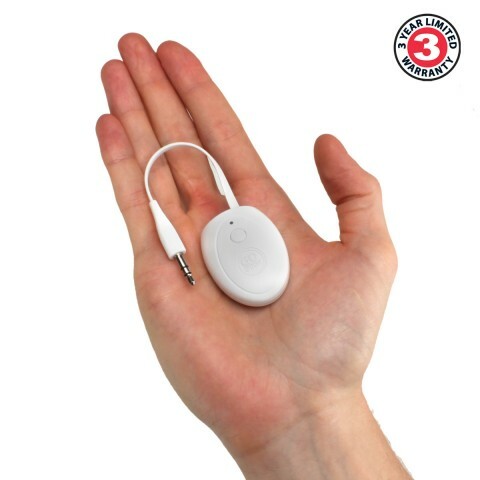 The TRM plugs-in to any standard 3.5mm audio-out jack for instant streaming convenience. 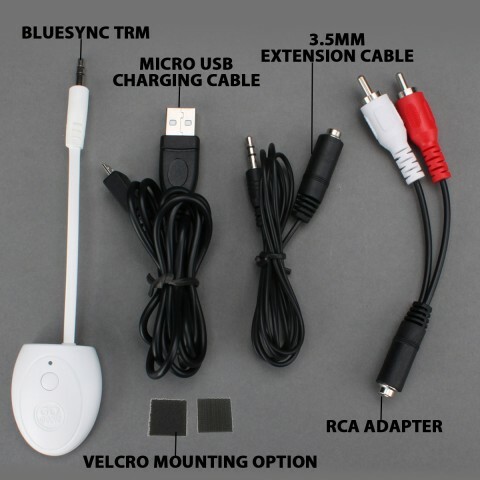 The TRM is so simple you can pair to it in seconds! Simply press and hold down the power button as close as possible to your device for 5 seconds. A flashing red and blue light will indicate you are in PAIRING MODE & you're set! 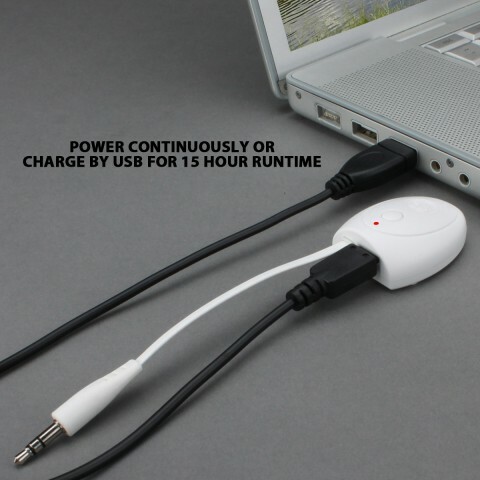 With 15 hours of power on a single charge, you can use the TRM all day!! 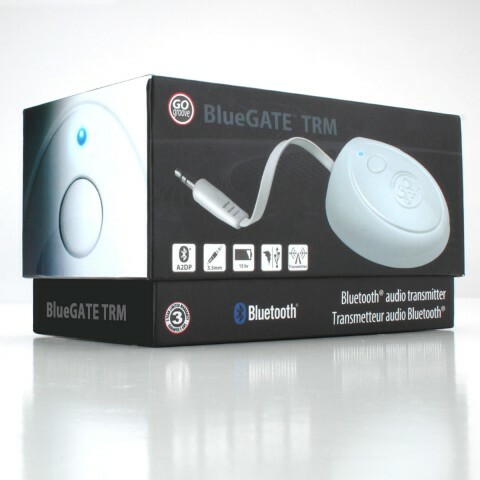 If you have an audio device that isn't Bluetooth capable, the BlueGATE is for you! 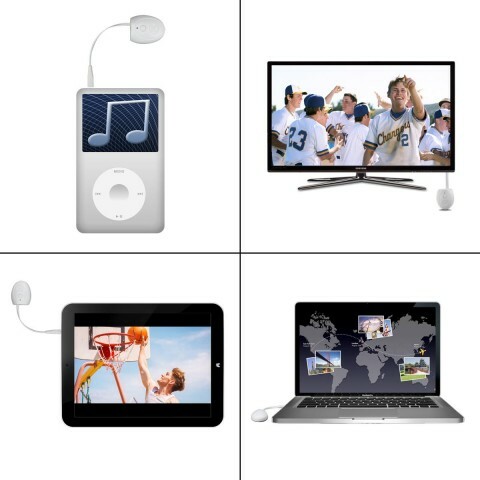 Just sync with a speaker system or headset to enjoy audio at home, or use a portable Bluetooth speaker & stream while camping, tailgating, or at your next party! 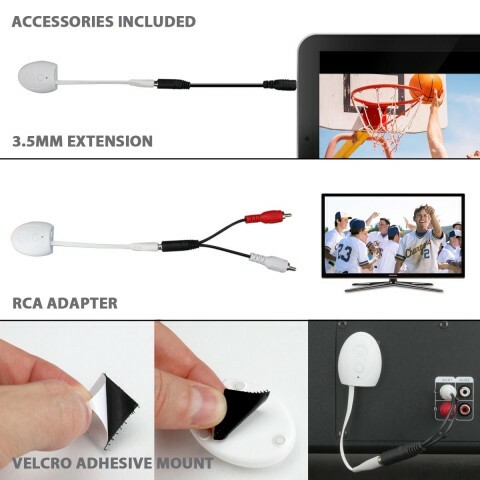 Use the included adapters to connect to a wide range of devices. The TRM includes a 3.5mm extension cable to achieve ideal positioning and signal transmission, RC adapter mount , and Velcro mount patches to keep the TRM tucked away out of view.